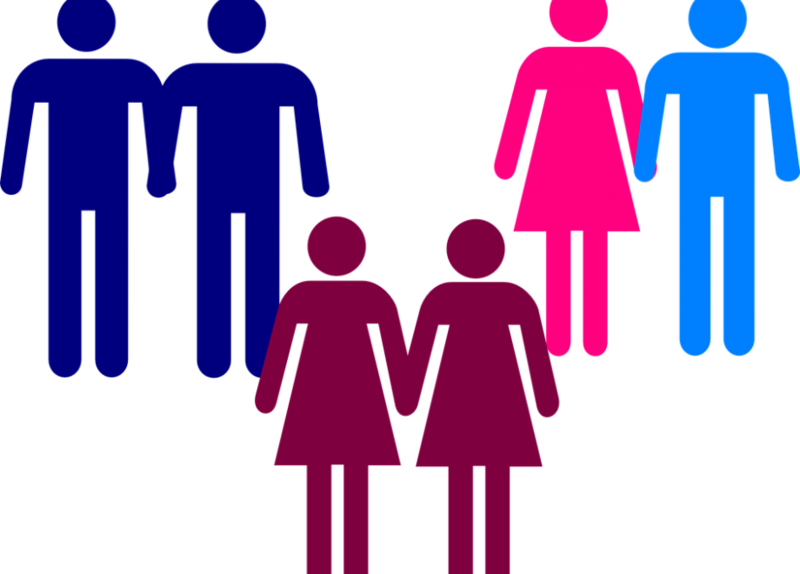 Having been consulted by the President Stéphane Valeri on the bill relating to cohabitation contracts, the High Commissioner set out her comments on 7 March 2019, available on the National Council's website (under Texts & Laws - Current Bills). 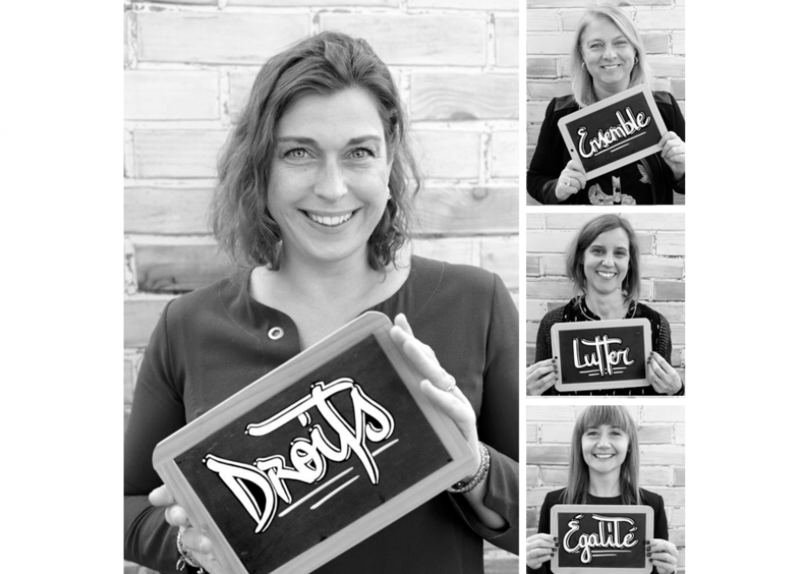 To mark International Women’s Day on 8 March, the High Commissioner and her team are joining the #8MarsMonaco (#8MarchMonaco) campaign organised by the Prince’s Government. 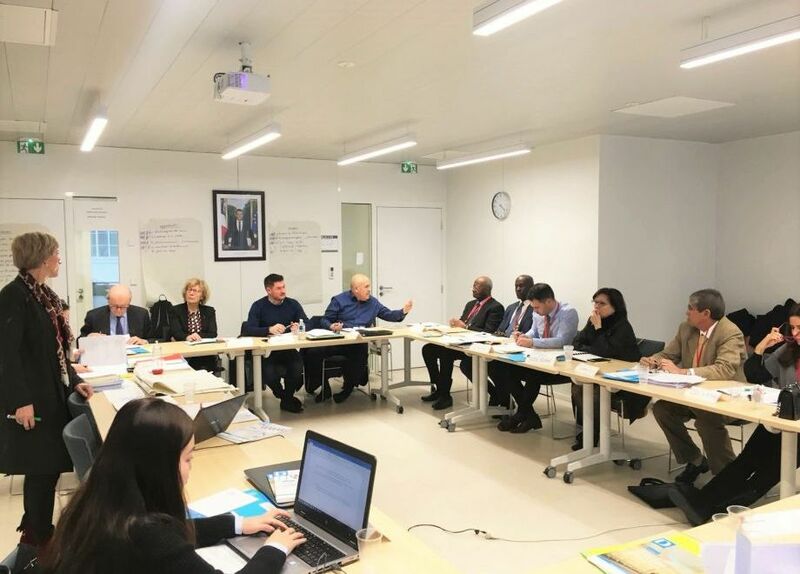 The visit provided an opportunity for Anne Eastwood and Albert Croesi to discuss the inherent synergies between their respective mandates to assist users and improve the Government’s responsiveness to citizens’ daily concerns. 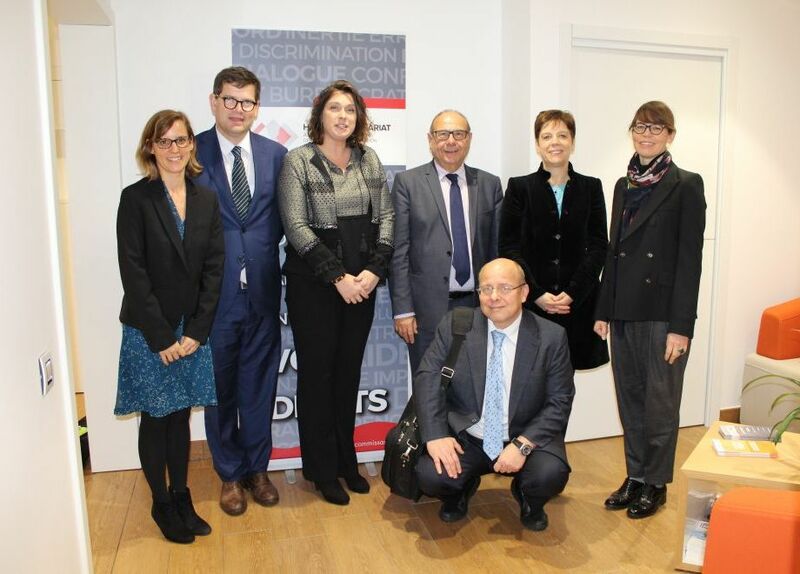 On 4 February, the Monegasque High Commissioner Anne Eastwood visited her French counterpart, the Defender of Rights, in Paris to take part in a closed meeting to develop a five-year strategic plan for the Association des Ombudsmans et Médiateurs de la Francophonie. 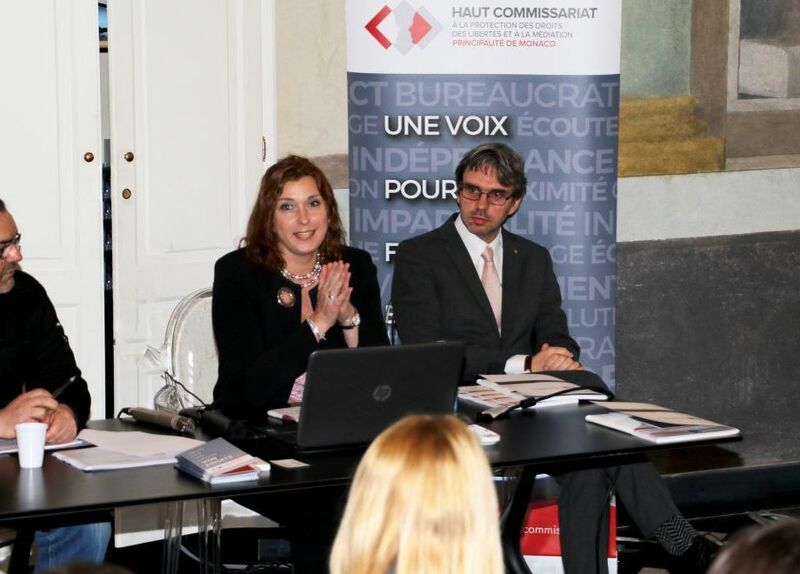 ​In accordance with Sovereign Ordinance dated 22 January 2019 and published in the Journal de Monaco on 1 February 2019, Anne Eastwood’s term as the High Commissioner for the Protection of Rights, Liberties and for Mediation has been renewed for four years. 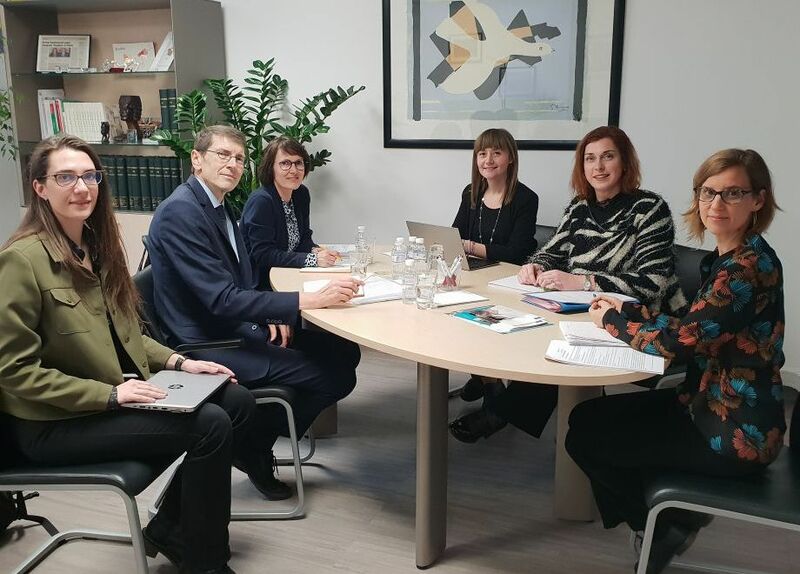 As part of the initial evaluation of Monaco’s implementation of the Warsaw Convention, ratified in 2015, a GRETA delegation visited the Office of the High Commissioner on Monday 28 January 2019. 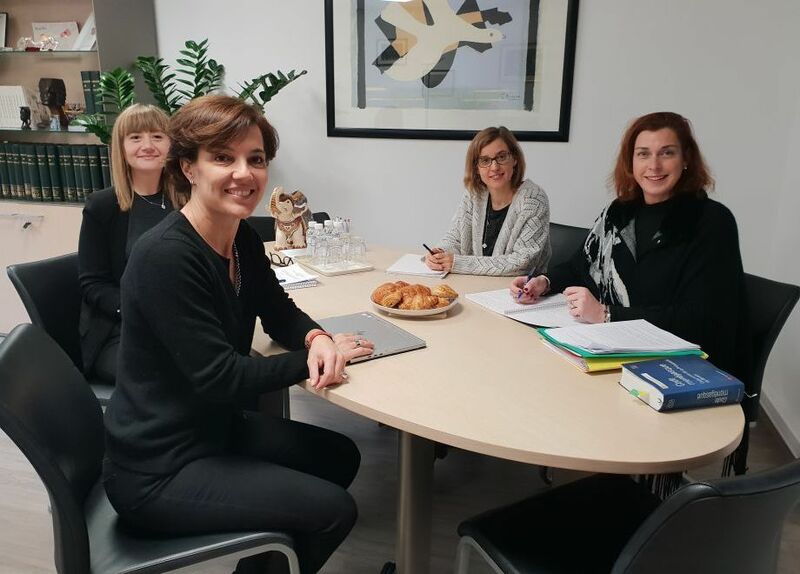 On 16 January 2019, the High Commissioner and her team were delighted to welcome Ms Céline Cottalorda to the office for a working meeting. 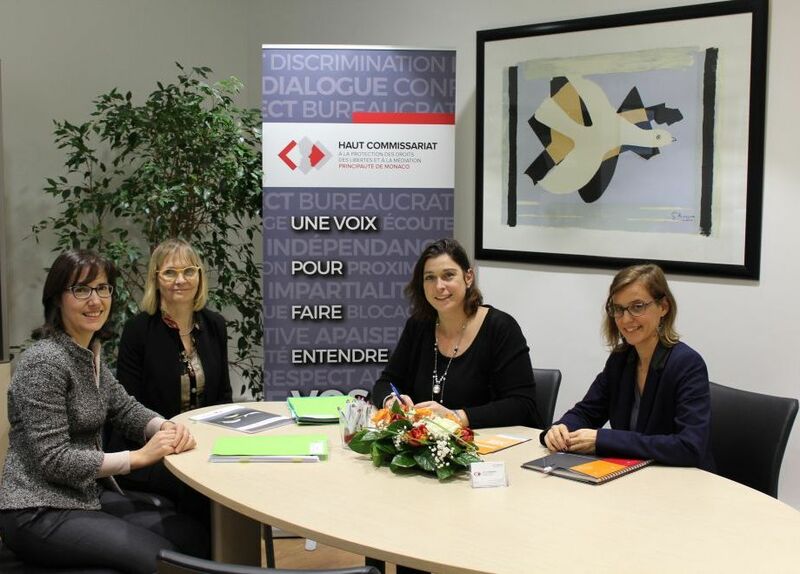 The meeting provided an opportunity to discuss important issues relating to violence and discrimination against women in the Principality, particularly in light of the complaints that have been submitted to the Office of the High Commissioner over the last five years. 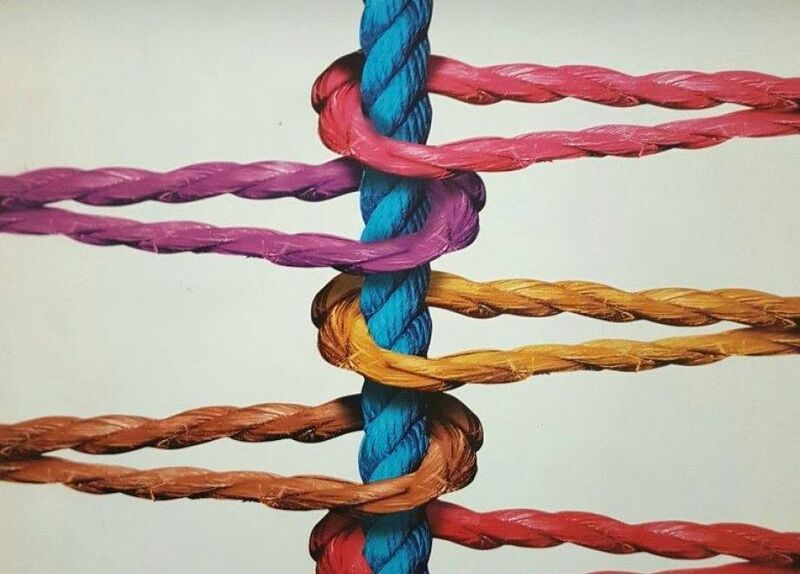 Created on 25 October 2018, its mission is to coordinate, implement and evaluate national policies taken to promote equality between women and men and to fight against violence and discrimination against them. 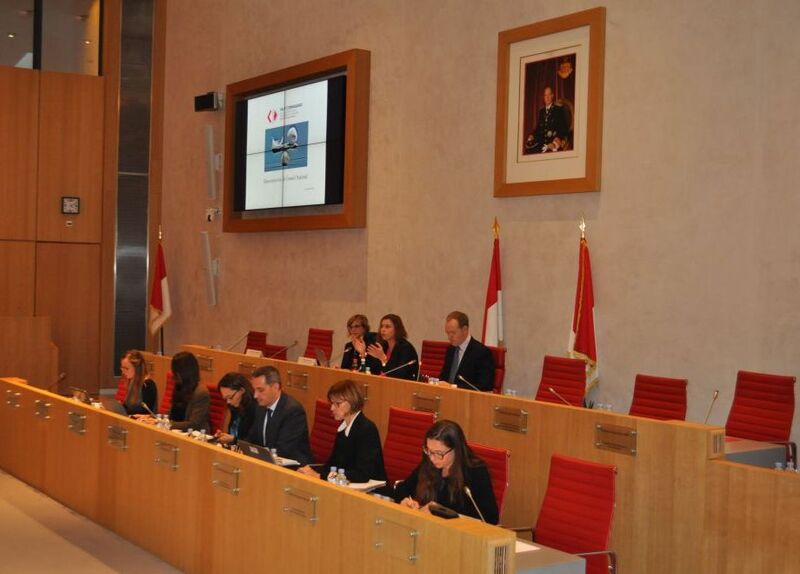 The Principality takes part in the international day for the elimination of violences against women. 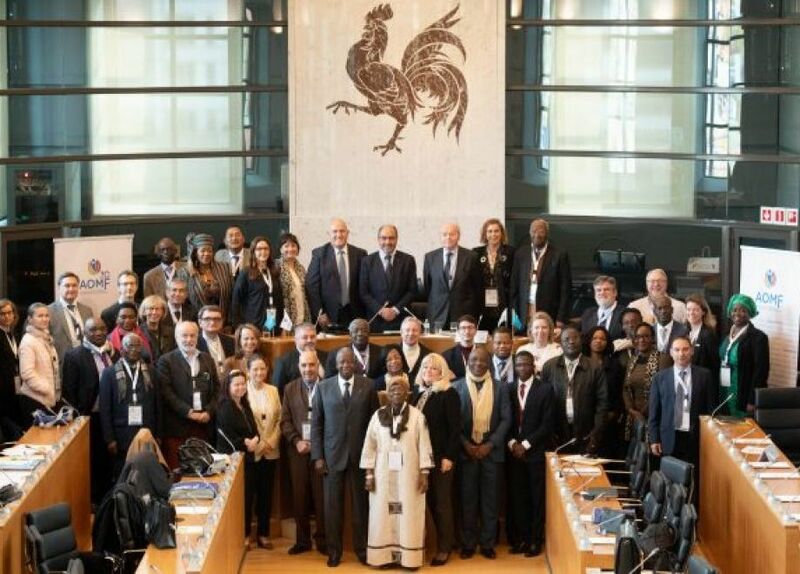 The 10th Conference of the Association of Ombudsmen and Mediators of La Francophonie was held from 6 to 9 November 2018. 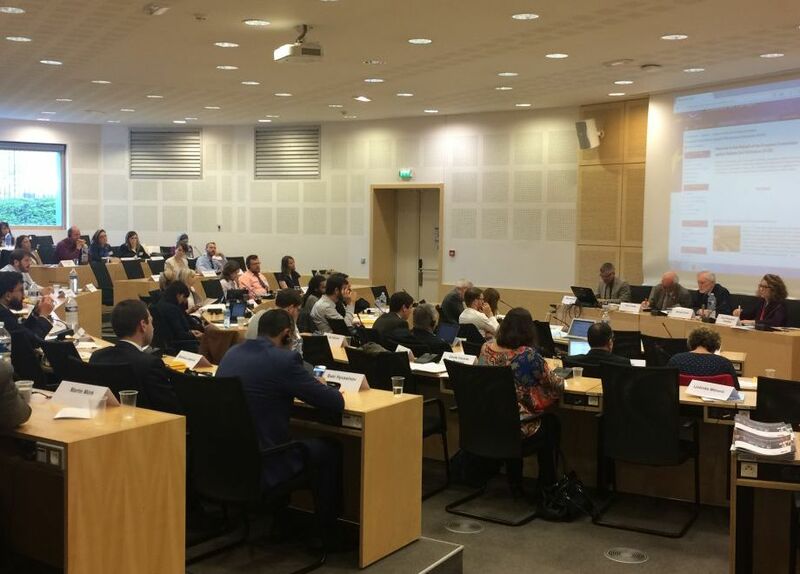 Over the four days, independent mediation and human rights institutions from 37 French-speaking countries met first in Brussels and then in Namur. 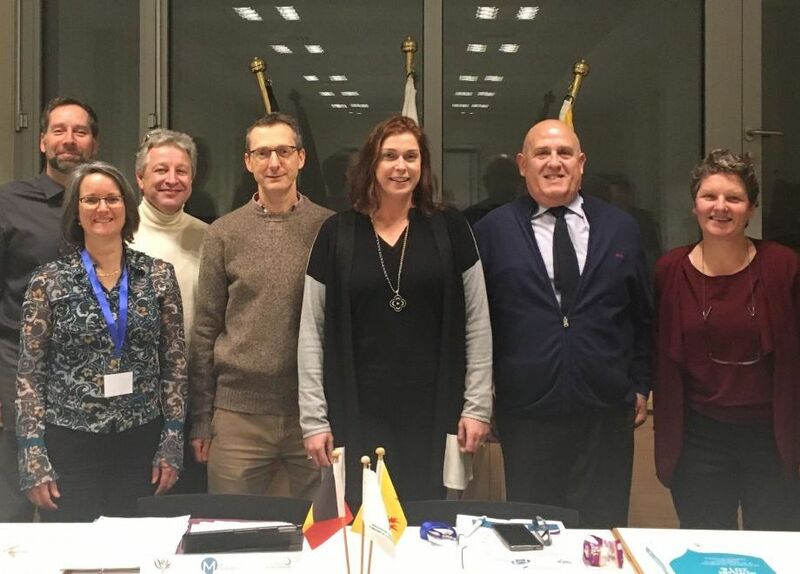 Monaco, through the Monegasque High Commissioner for the Protection of Rights, joined the AOMF Executive Board during the Conference. 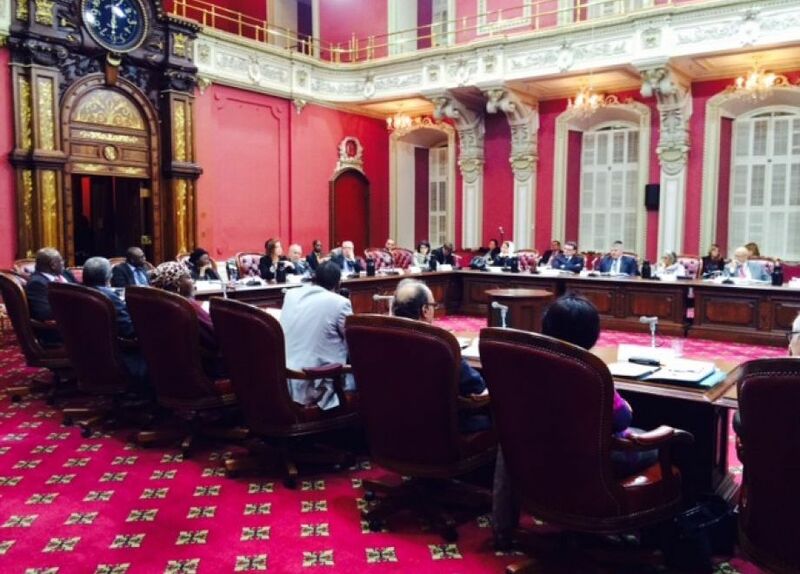 Overview of current legislative developments and discussion of the broad outlines of bills submitted to the assembly for consideration, in light of the priorities of the new parliamentary majority and the High Commissioner’s recommendations and ongoing deliberations (7 September 2018). 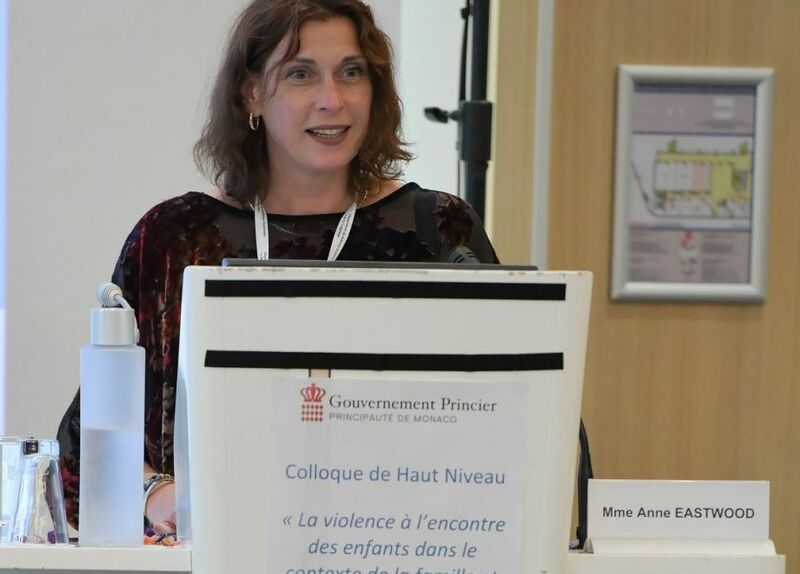 The High Commissioner has taken part in a High-Level Symposium on the theme “Violence against Children in the Context of the Family and School”. The programme covered not just maltreatment, but also “ordinary educational violence”, referring to the physical or psychological abuse commonly inflicted on children for disciplinary reasons or as punishment. 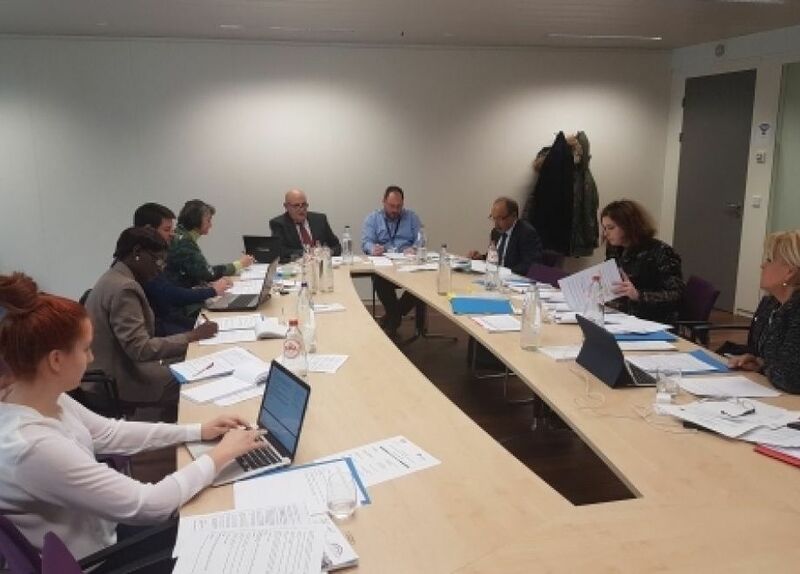 The Office of the High Commissioner for the Protection of Rights, Liberties and for Mediation took part to the seminar organised by the European Commission against Racism and Intolerance of the Council of Europe, aimed at national bodies which specialise in combatting discrimination. 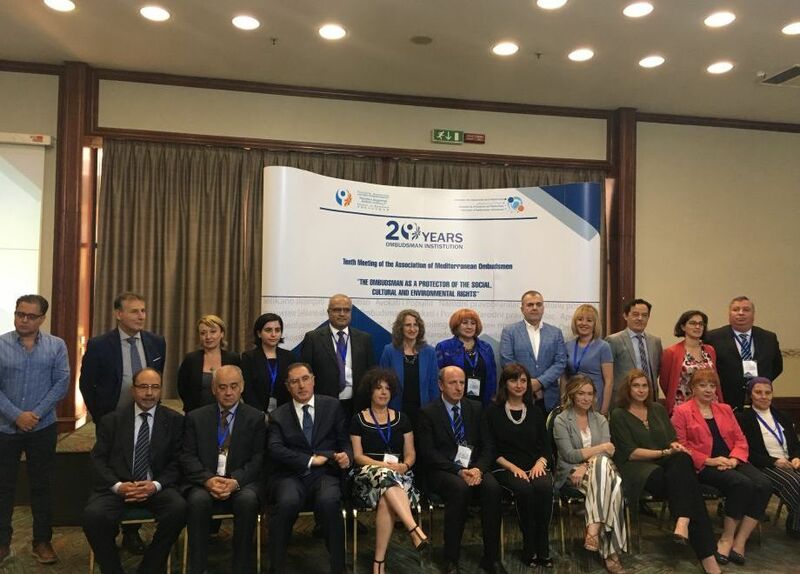 The Association of Ombudsmen and Mediators of La Francophonie is celebrating its twentieth anniversary. 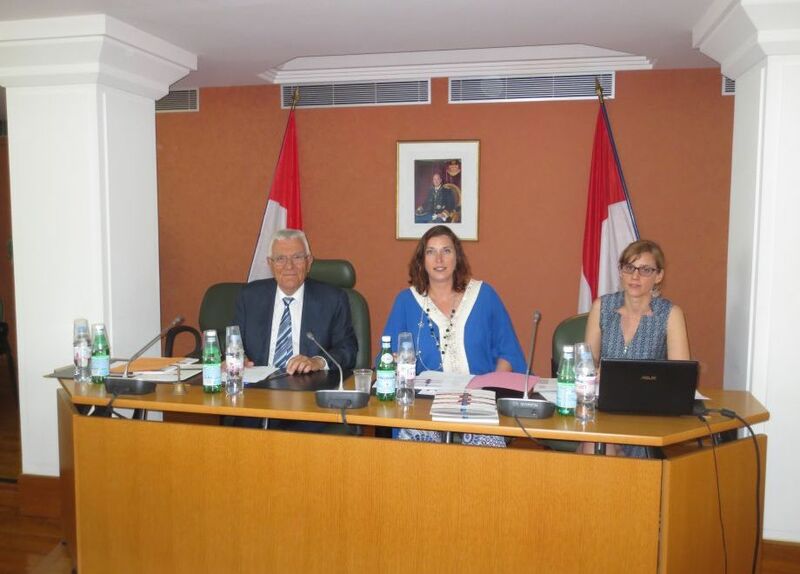 At the invitation of Mr Maurizio Foglino, President of the Associazione Nazionale Forense of San Remo, the High Commissioner gave a presentation of the Office of the High Commissioner for the Protection of Rights, Liberties and for Mediation to a large audience of lawyers in the formal surroundings of San Remo Town Hall on 20 April 2018. 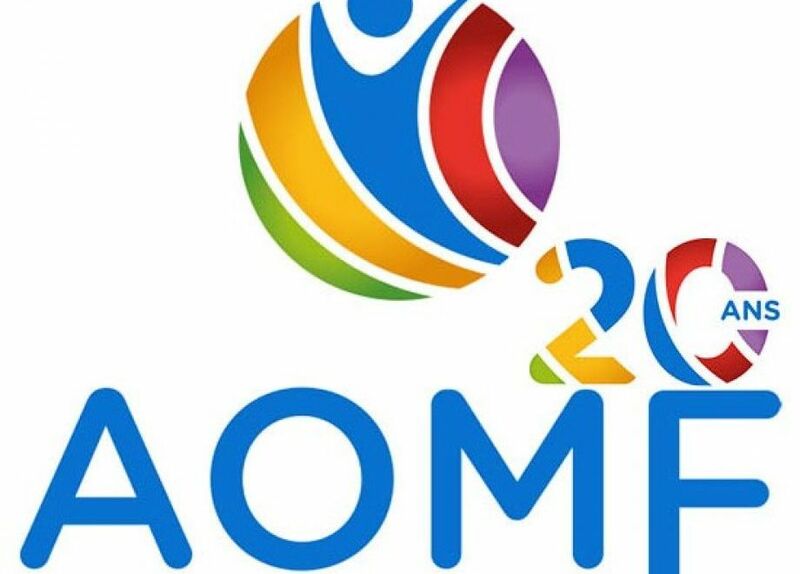 Finalisation of a guide to conduct and ethics for mediators and ombudsmen in French-speaking countries and regions, which will be presented for adoption by all members at the next AOMF Congress. 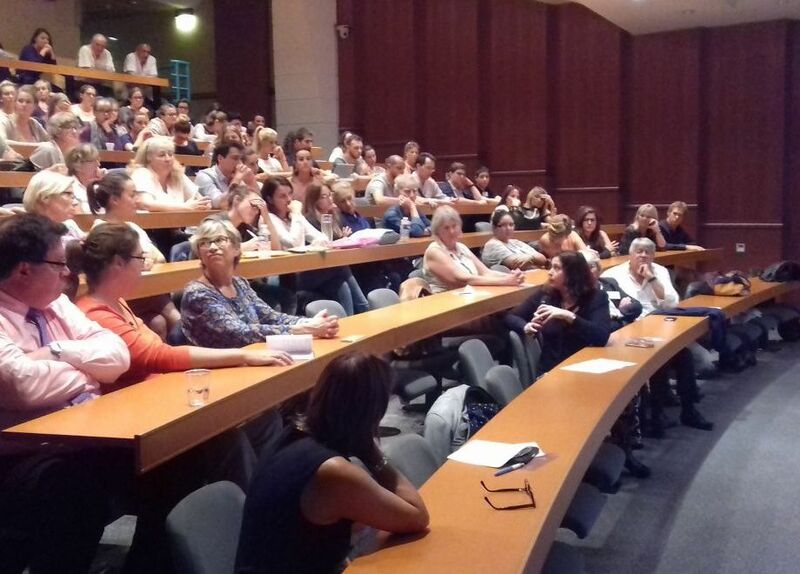 Conference led by Luc Vigneault, a peer supporter from Quebec, at the invitation of D’AMORE PSY, 25 September 2017. 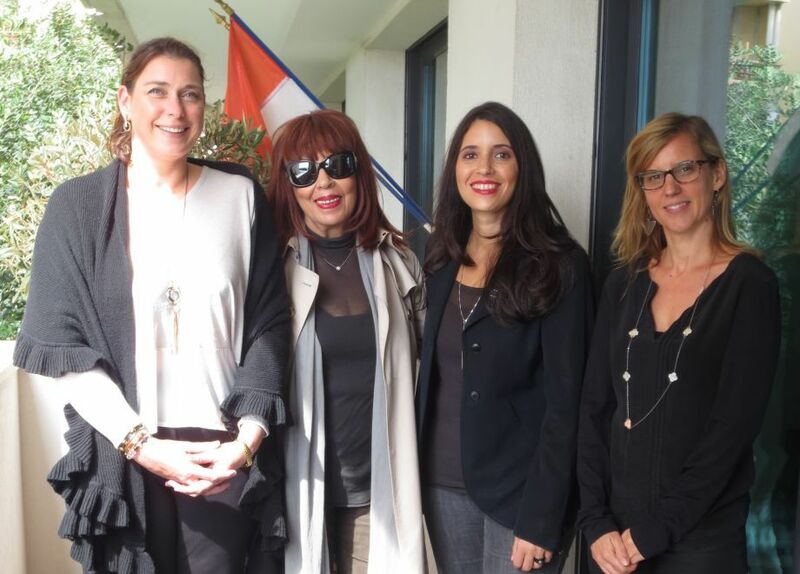 The High Commissioner received Tatiana F.-Salomon, President of the French association JamaisSansElles ("Never without Women") and Natacha Quester-Séméon, spokesperson, on the occasion of their stay in the Principality, for an informal discussion on the many initiatives taken by this movement to promote women's participation in decision-making processes. 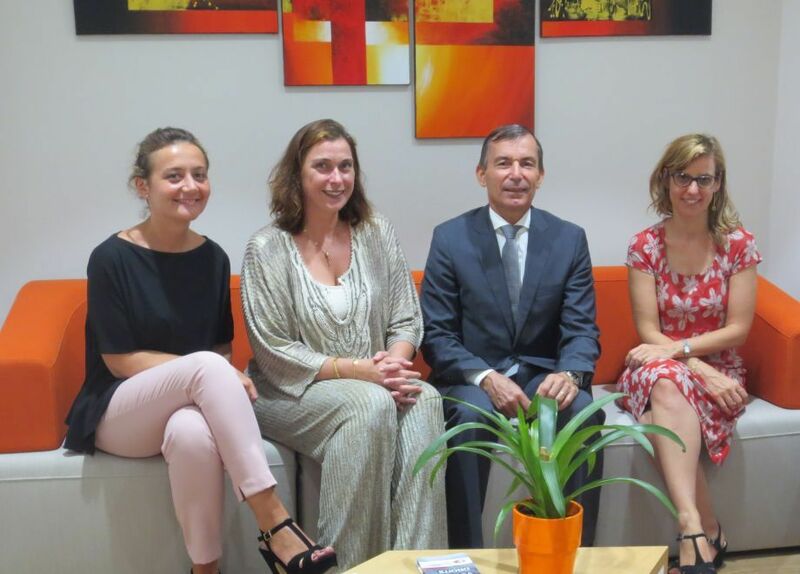 The High Commissioner’s team today had the pleasure of a visit from Mr Didier Gamerdinger, as a follow-on to taking up his duties as Minister of Health and Social Affairs. 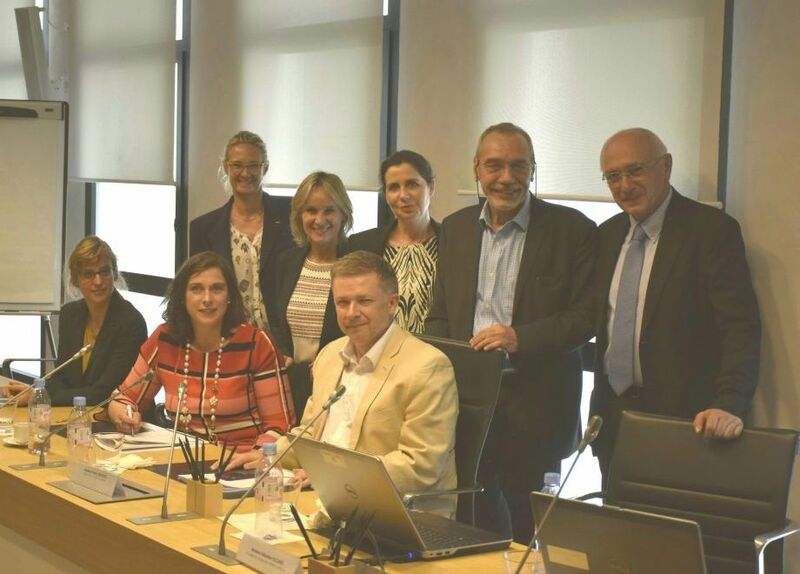 As part of her dialogue with civil society, Anne Eastwood visited the Economic and Social Council on 7 June at the invitation of the Council’s Chairman, Mr André Garino. 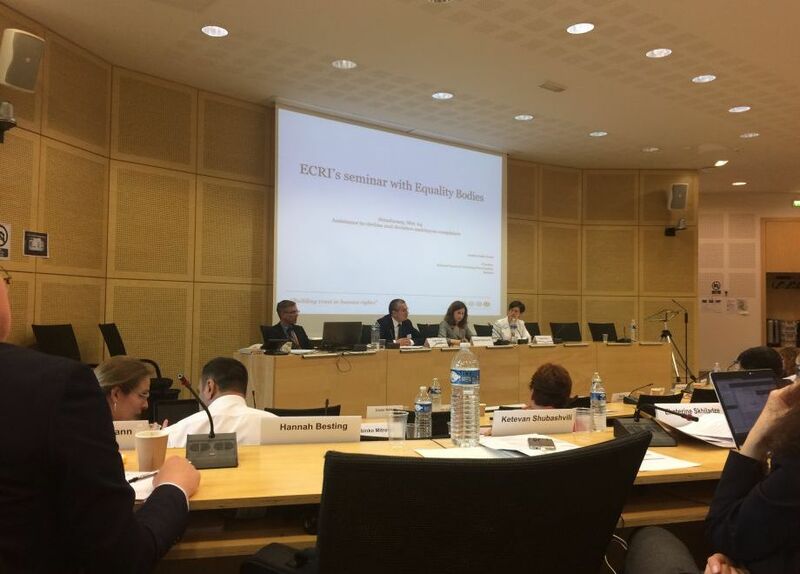 The Office of the High Commissioner took part on 23 and 24 May, alongside her counterparts of the 47 member States of the Council of Europe, to the annual seminar of the European Commission against Racism and Intolerance devoted this year to considering a draft revised version of ECRI's General Policy Recommendation No. 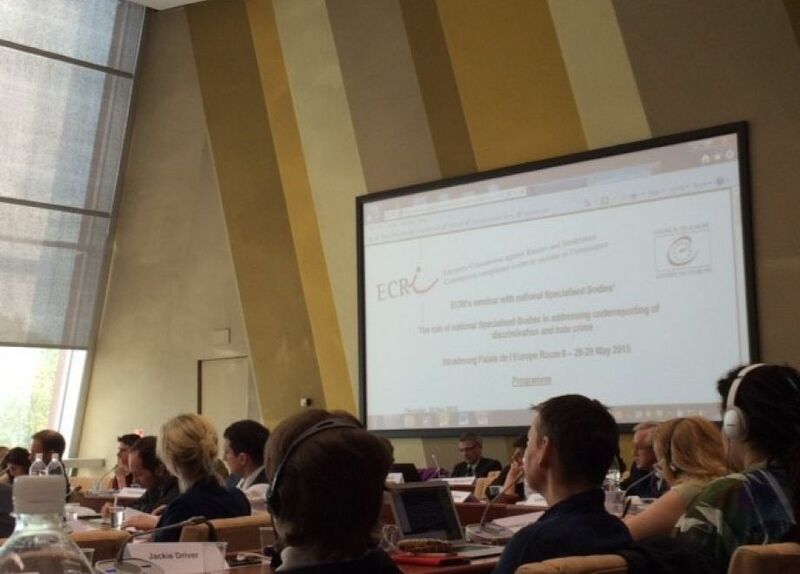 2, on specialised bodies to combat racism, xenophobia, anti-semitism and intolerance at the national level. 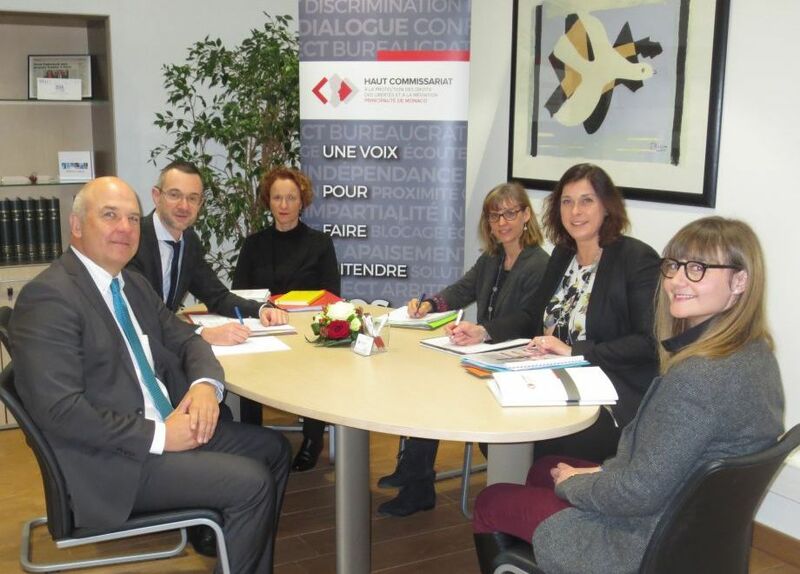 As part of the monitoring of the implementation of the European Charter of Local Self-Government, ratified by Monaco in 2013, the High Commissioner met with a delegation from the Congress of Local and Regional Authorities of the Council of Europe on 17 May 2017. On 16 May 2017, the High Commissioner appeared before the National Council’s Legislation Committee as part of the review of the Bill on harassment and violence at work. 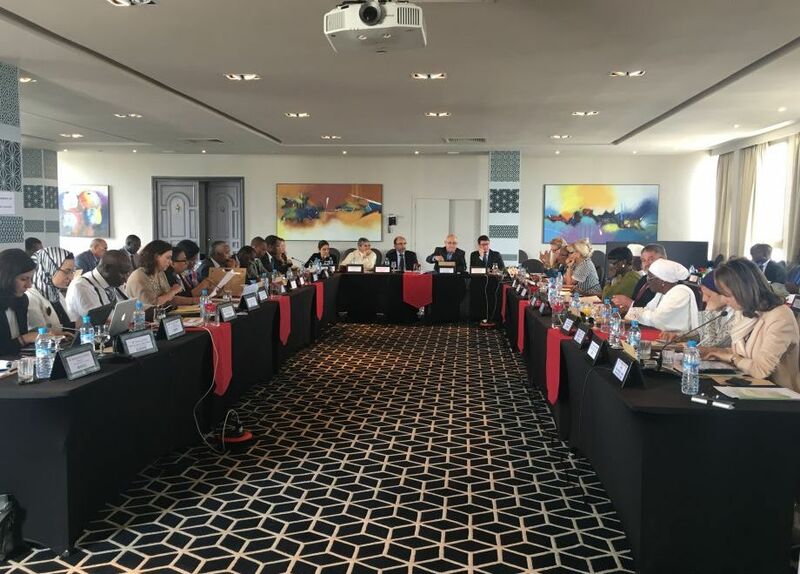 On the margins of a meeting of the governing bodies of the Association of Mediators and Ombudsmen of La Francophonie (AOMF) held from 3 to 5 May 2017 in Rabat, the High Commissioner, participated alongside her counterparts in a seminar to share experience of best practices in ethics. 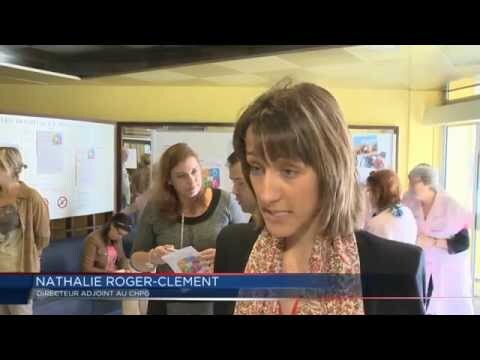 Broadcast about the publication of the second annual report of the High Commissioner. The High Commissioner for the Protection of Rights, Liberties and for Mediation has published the second annual report on the office’s activities, submitted to H.S.H. Prince Albert II in accordance with Article 45 of Sovereign Ordinance No. 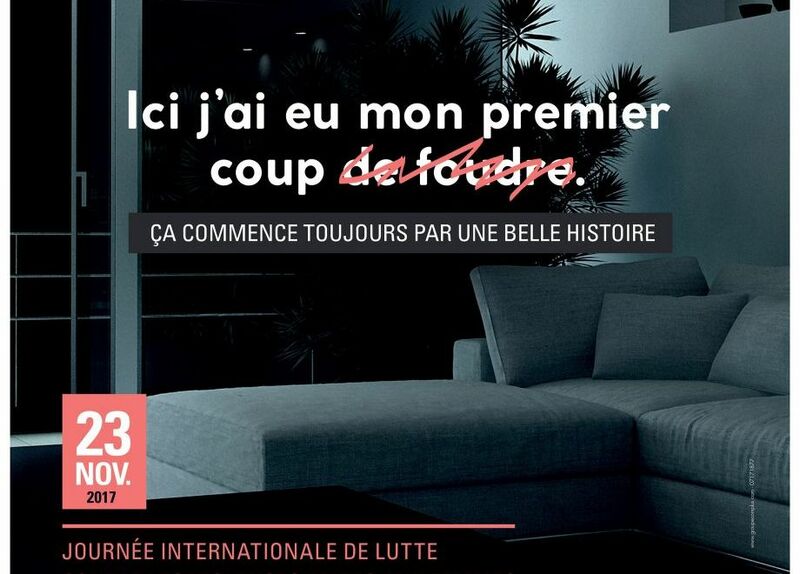 4.524 of 30 October 2013. 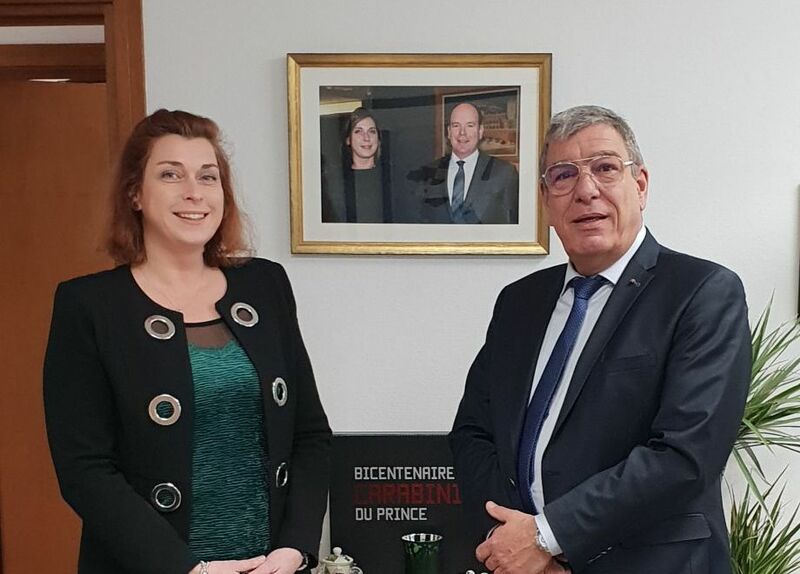 The Commissioner for Human Rights, Mr Niels Muižnieks, a key player in the dialogue between the Council of Europe and national ombudsmen and mediators, began his visit to the Principality by meeting the Monegasque High Commissioner at her office on 18 January. 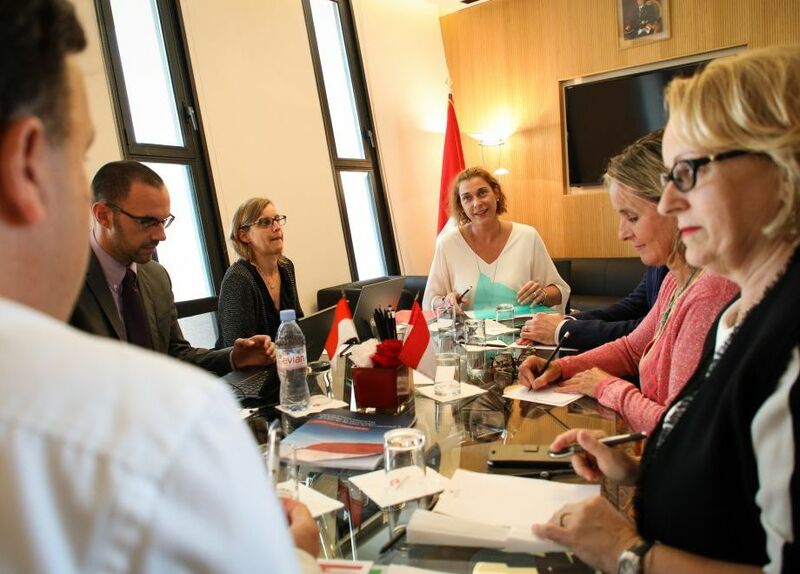 As part of monitoring of the Principality of Monaco’s implementation of the Convention on Preventing and Combating Violence against Women and Domestic Violence, a delegation from the Group of Experts on Action against Violence against Women and Domestic Violence (GREVIO) visited the High Commissioner. 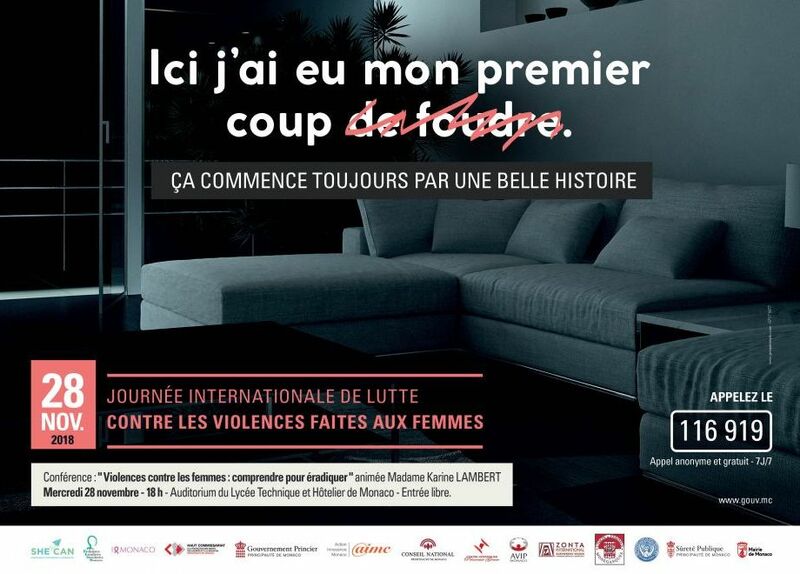 On the occasion of the International Day for the Elimination of Violence against Women, the High Commissioner presented the legal arsenal existing in Monaco to fight against violence against women. 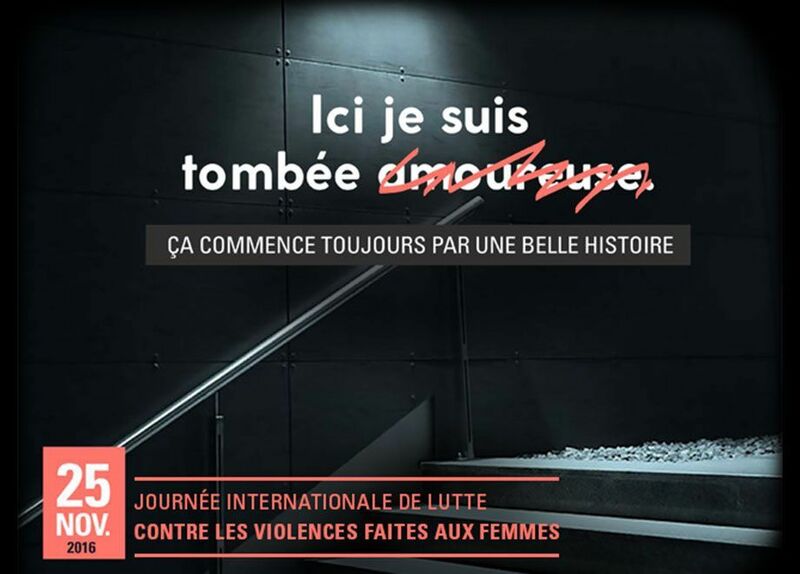 The Principality of Monaco is taking part in the International Day for the Elimination of Violence against Women. 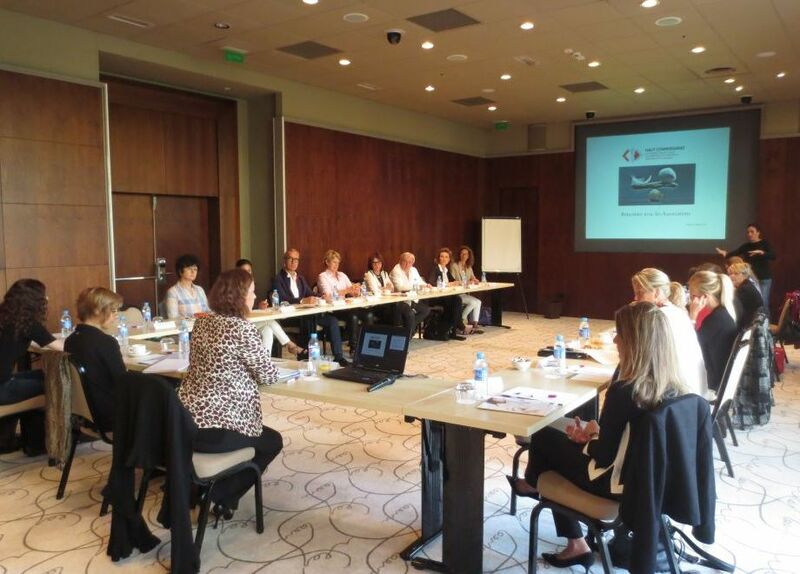 As part of the 4th Evaluation Round by the Council of Europe’s Group of States against Corruption (GRECO), a delegation of the group’s evaluators visited the Principality from 21 to 25 November 2016. 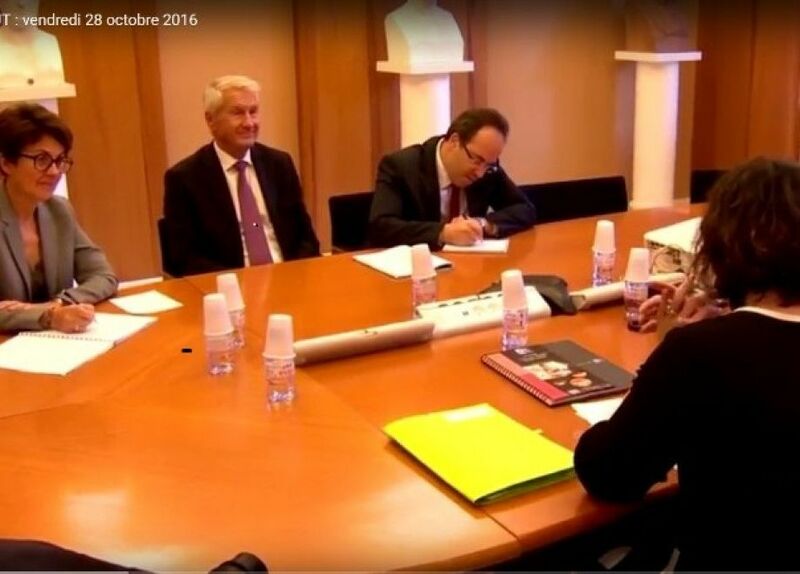 The High Commissioner met October 27, 2016, Mr. Thorbjon Jagland, Secretary General of the Council of Europe, on the occasion of his first official visit to the Principality. 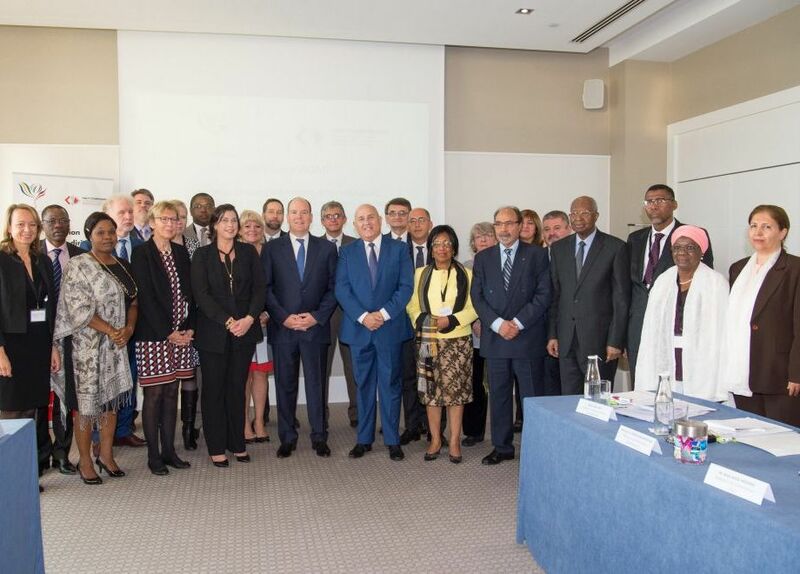 At the invitation of the High Commissioner for the Protection of Rights, Liberties and for Mediation, who joined the network in October 2015, from 19 to 21 October 2016 the Principality hosted a meeting of the governance bodies of the Association des Ombudsmans et Médiateurs de la Francophonie (AOMF, Association of Mediators and Ombudsmen of La Francophonie) and an expanded seminar for the organisation. 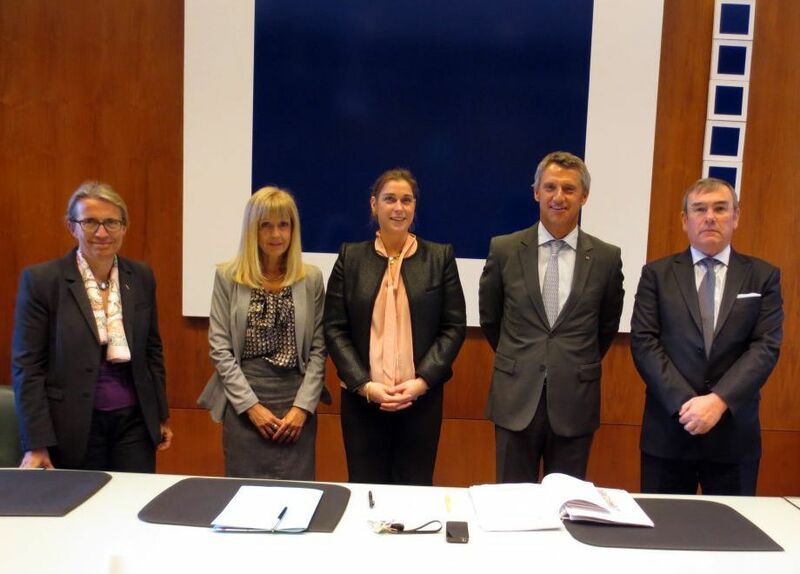 As part of a process of sharing best practices with her peers, the High Commissioner travelled to Luxembourg for a study visit on 7 and 8 July. 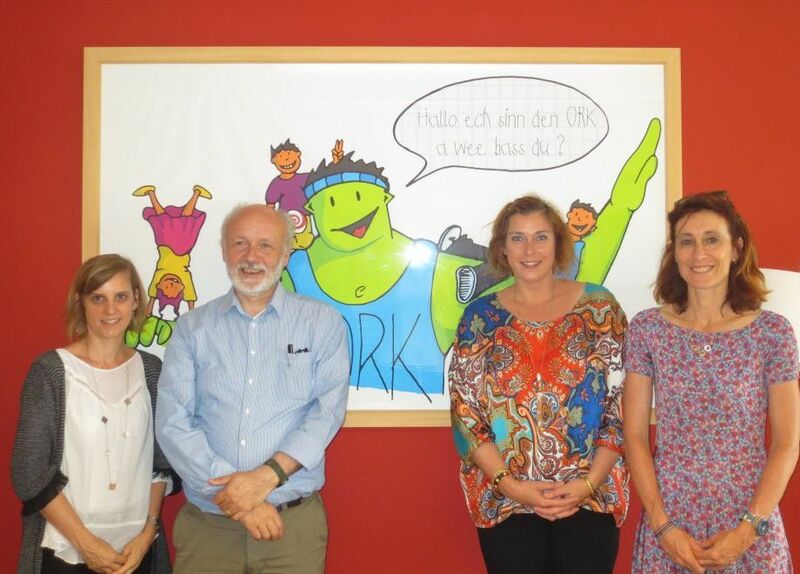 The visit was undertaken at the invitation of Ms Lydie Err, Mediator of the Grand Duchy of Luxembourg, and Mr René Schlechter, Chair of the Ombuds-Committee for the Rights of the Child (ORK). 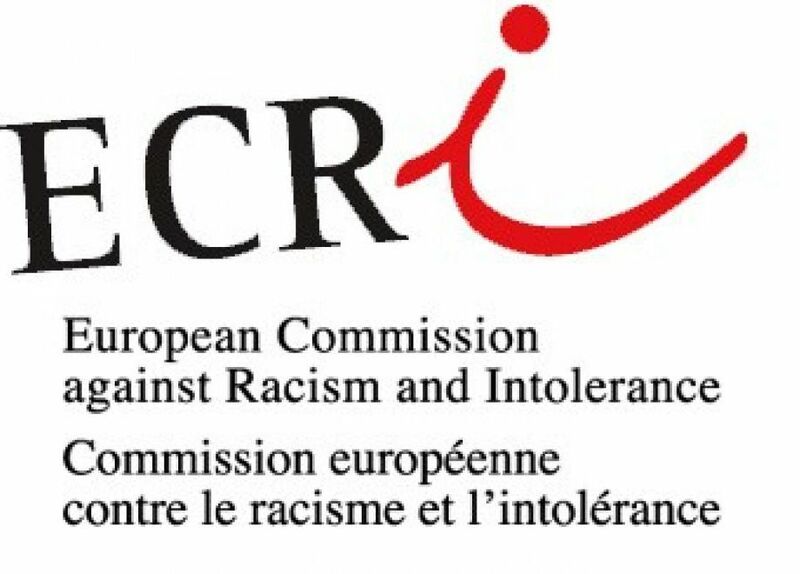 For the third time since the role was established, the High Commissioner for the Protection of Rights, Liberties and for Mediation took part in the annual seminar of the European Commission against Racism and Intolerance (ECRI). H.E. 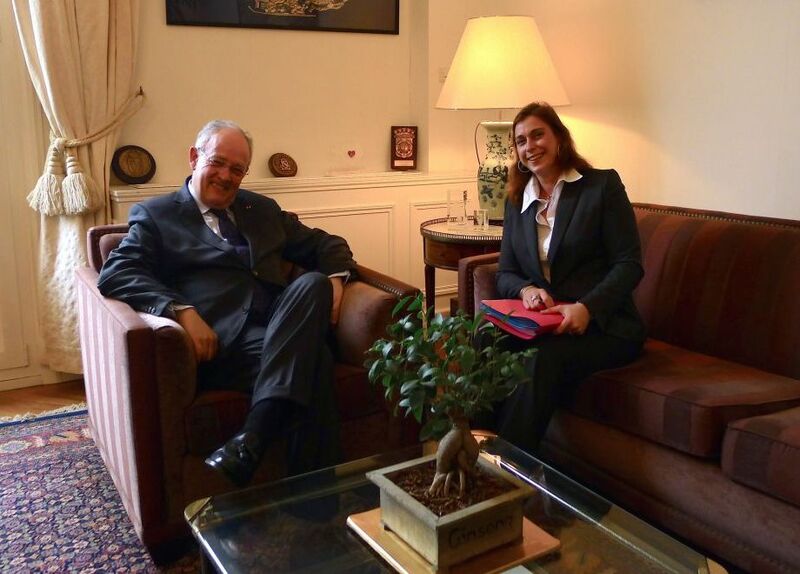 the Minister of State Mr Serge TELLE paid a visit to the High Commissioner for the Protection of Rights, Liberties and for Mediation on 7 April. 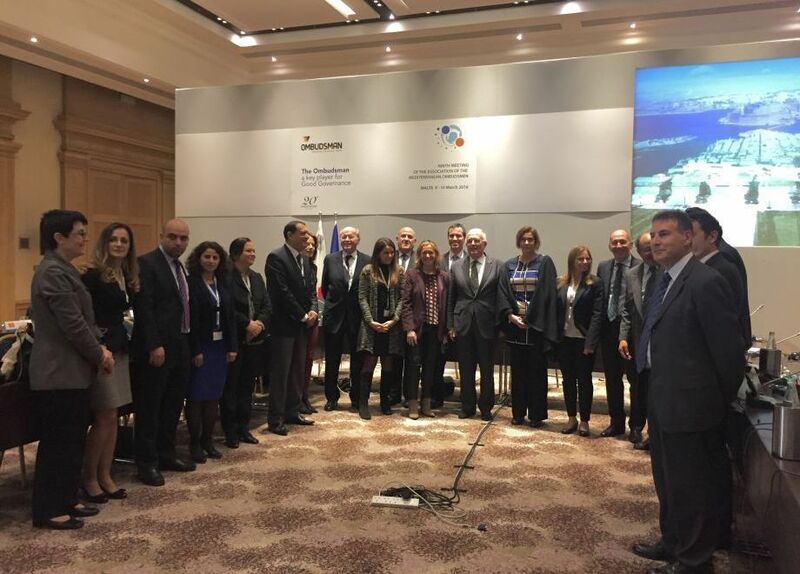 The High Commissioner of the Protection of Rights, Liberties and for Mediation took part in the ninth meeting of the Association of Mediterranean Ombudsmen (AOM) on 9 and 10 March 2016. 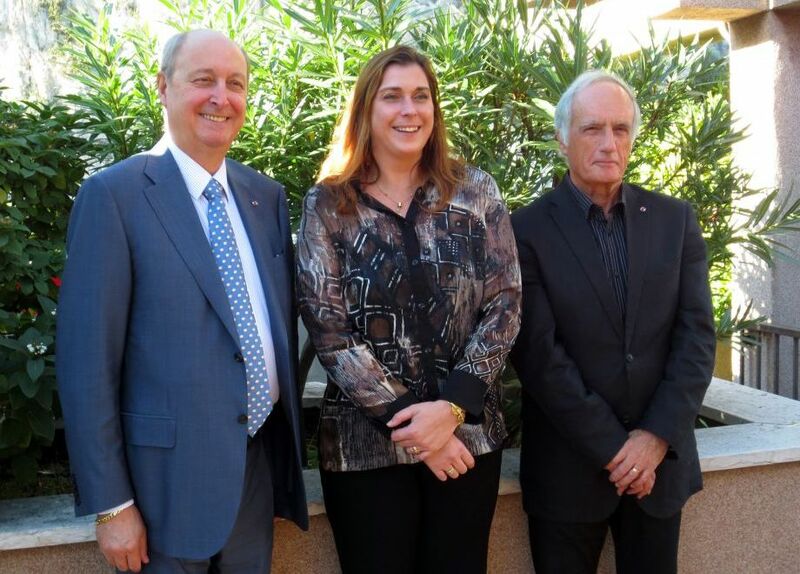 As part of ongoing dialogue with civil society, the High Commissioner, Anne Eastwood, gave a speech at the Rotary Club of Monaco on 2 February 2016. 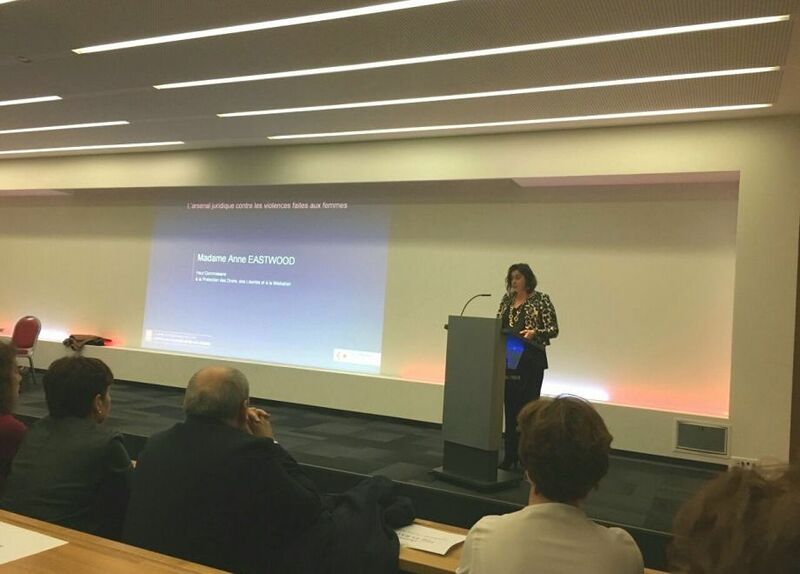 This year, the Department of Health and Social Affairs organised the 4th Monegasque Meeting on Disability, with the theme "The Law on Disability, One Year On". 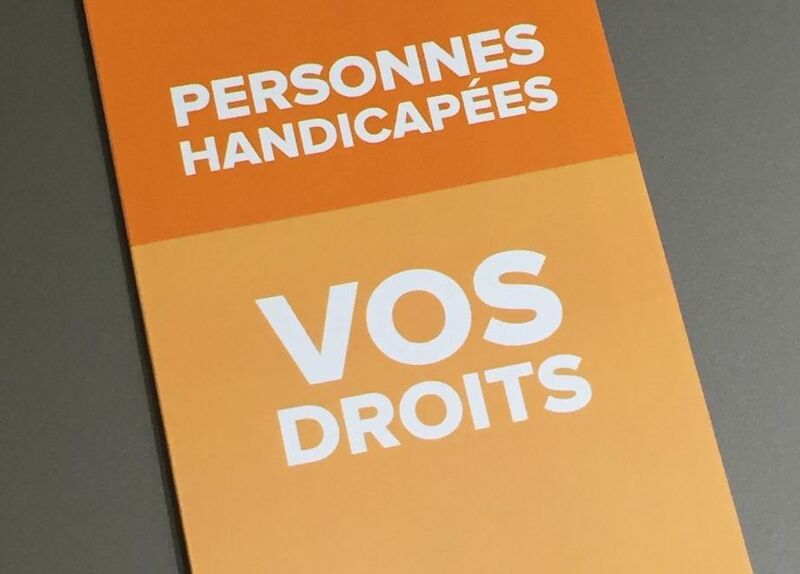 To mark the occasion, the High Commissioner and the Prince's Government have come together to publish a leaflet, designed to inform people with disabilities about their rights and how to exercise them. On 1 October 2015 and 3 November 2015, the High Commissioner met members of the Economic and Social Council and the National Council. 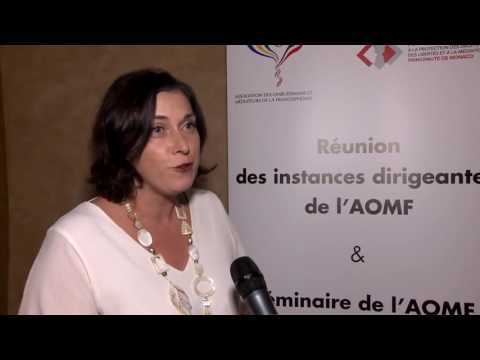 The AOMF conference, held in Québec from 13 to 15 October 2015, brought together member Ombudsmen and Mediators from 34 French-speaking countries. 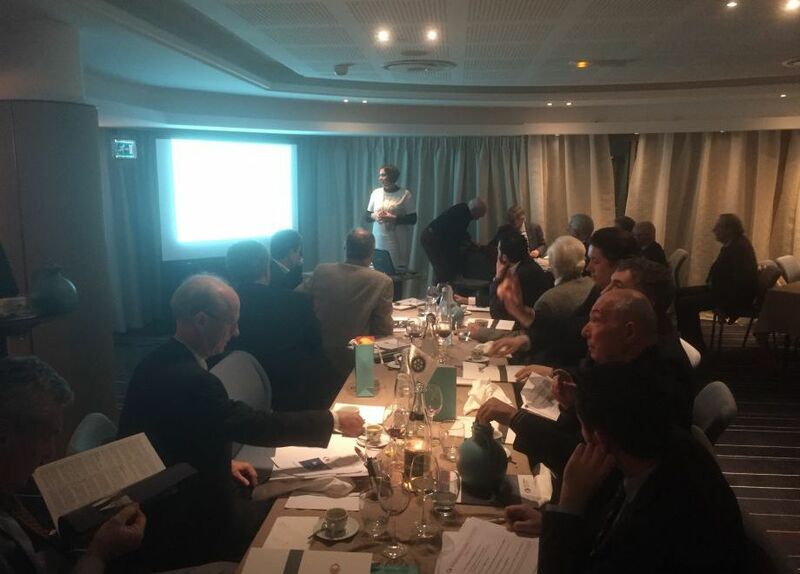 On Thursday 8 October 2015, around 20 Monegasque associations working on social and humanitarian issues attended a round-table discussion, at the invitation of the High Commissioner. 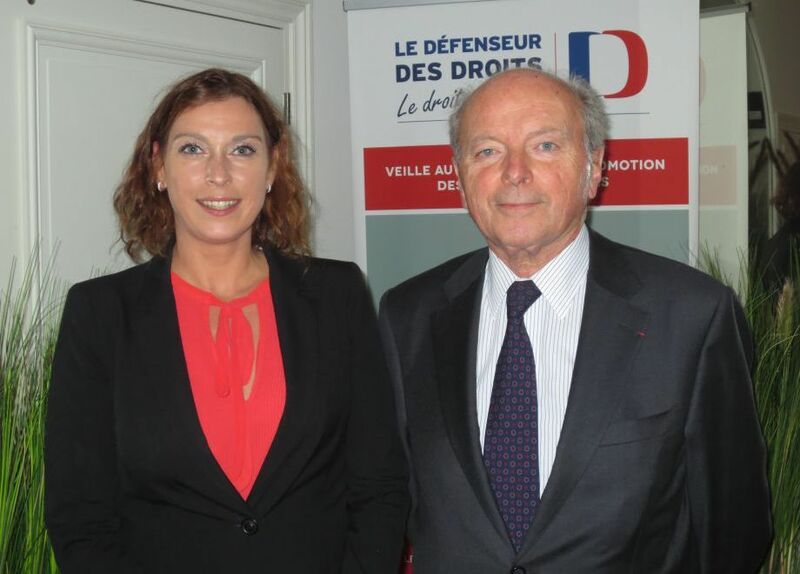 Anne Eastwood flew to Paris on 28 September 2015 to meet with her French counterpart, Jacques Toubon, as part of an amicable visit meant at building stronger links between the French and Monegasque human rights institutions. 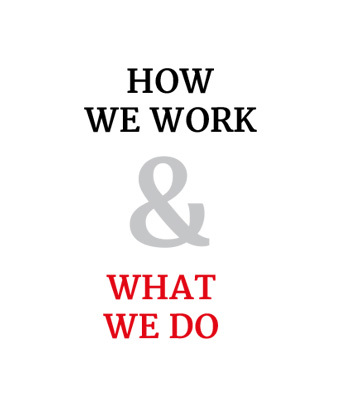 July 9, 2015 : the High Commissioner for the Protection of Rights, Liberties and for Mediation is publishing its very first annual activity report. 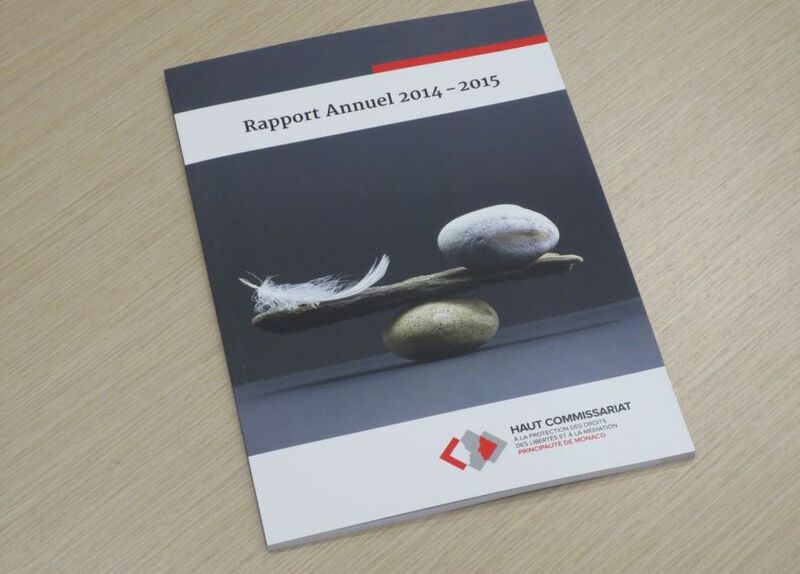 Broadcast about the publication of the first annual report of the High Commissioner. 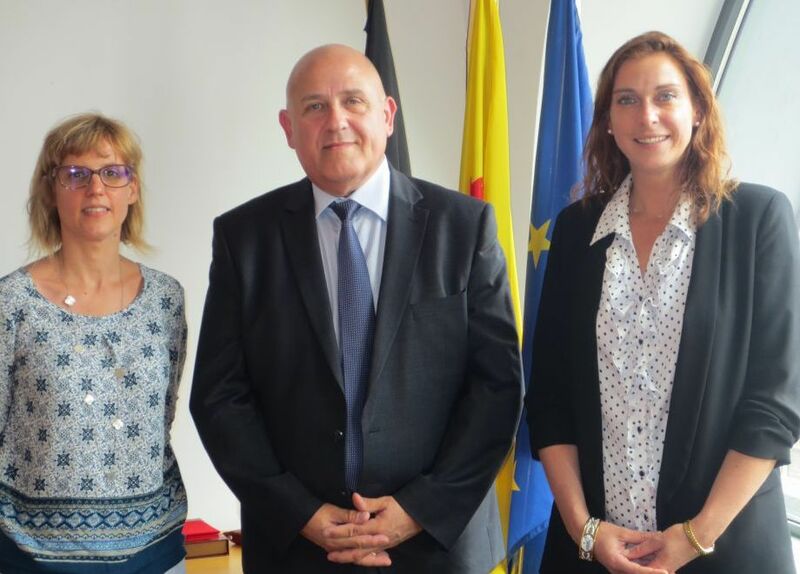 As part of an exchange of good practices with hers peers, the High Commissioner travelled to Brussels from June 24th to June 26th on a study visit to the Belgian mediation authorities, at the invitation of Mr. Marc Bertrand, Ombudsman for Wallonia and the Wallonia-Brussels Federation. Broadcast on the occasion of the inauguration by H.S.H. 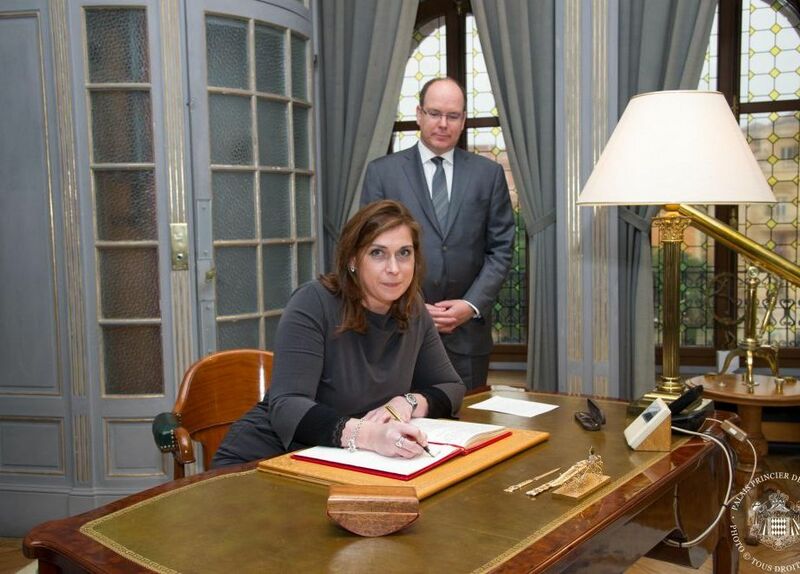 Prince Albert II of the Office of the High Commissioner for the Protection of Rights, Liberties and for Mediation, on 18 March 2015. On 15 March 2015, H.S.H. 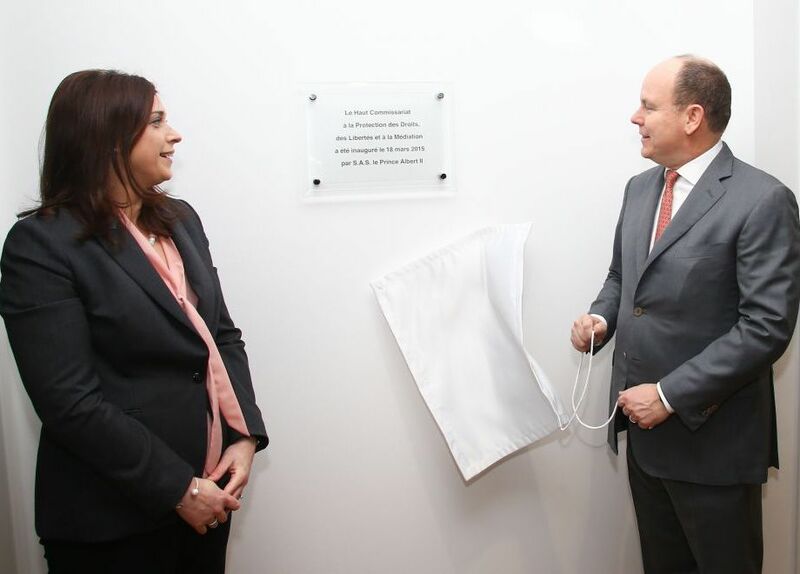 Prince Albert II officially inaugurated the Office of the Monegasque High Commissioner for the Protection of Rights, Liberties and for Mediation on the occasion of the institution’s installation in its new premises located at Bloc A, Les Jardins d’Apolline, in Monaco's La Condamine district. 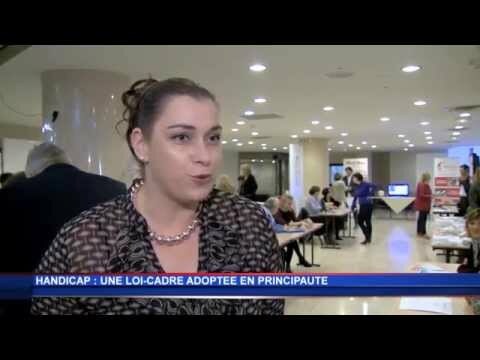 On the occasion of the International Disability Day 2014, interview of High Commissioner. 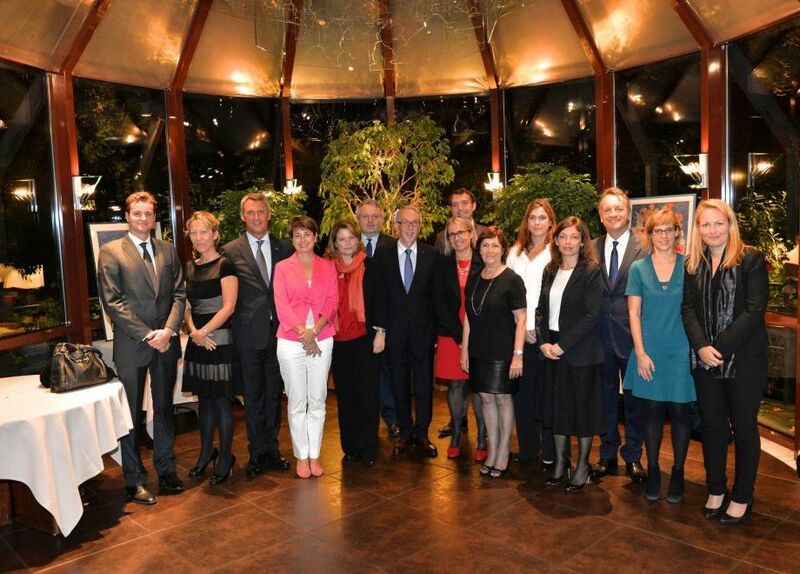 On 6 and 7 October 2014, the High Commissioner and her Deputy, Cécile Vacarie-Bernard, attended celebrations in Strasbourg to mark the 10th anniversary of Monaco's membership of the Council of Europe, at the invitation of the Monegasque Government. 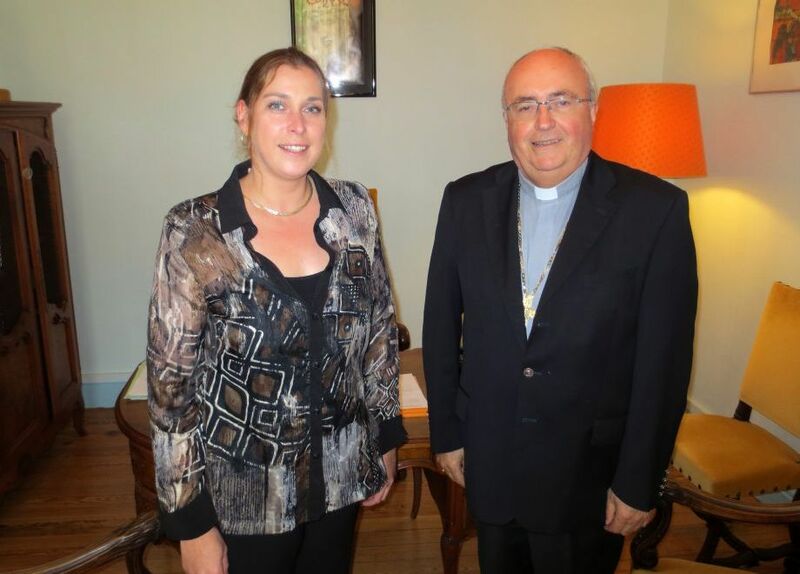 As part of her civil society consultation process, Anne Eastwood decided to use the first few months following her appointment to meet with representatives of Monaco's various religious communities. 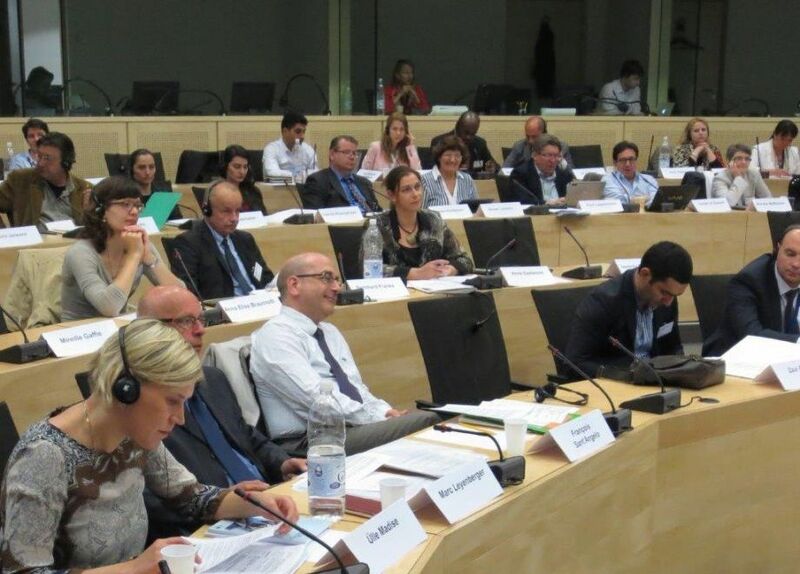 On 22 and 23 May 2014, Anne Eastwood travelled to Strasbourg for her first formal engagement as High Commissioner for the Protection of Rights, Liberties and for Mediation, attending an international seminar at the Council of Europe. 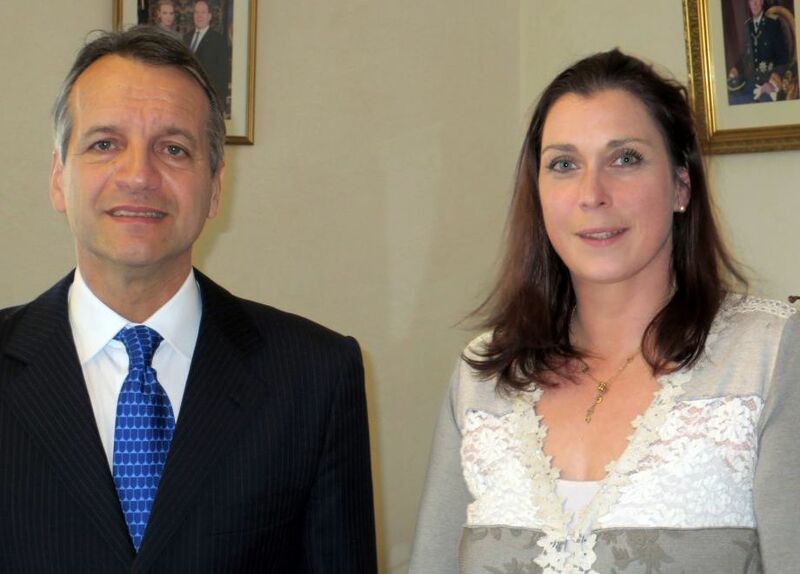 During a series of meetings with Monegasque institutions, the High Commissioner, Anne Eastwood, met with Mr Georges Marsan, Mayor of Monaco, on 26 April 2014. 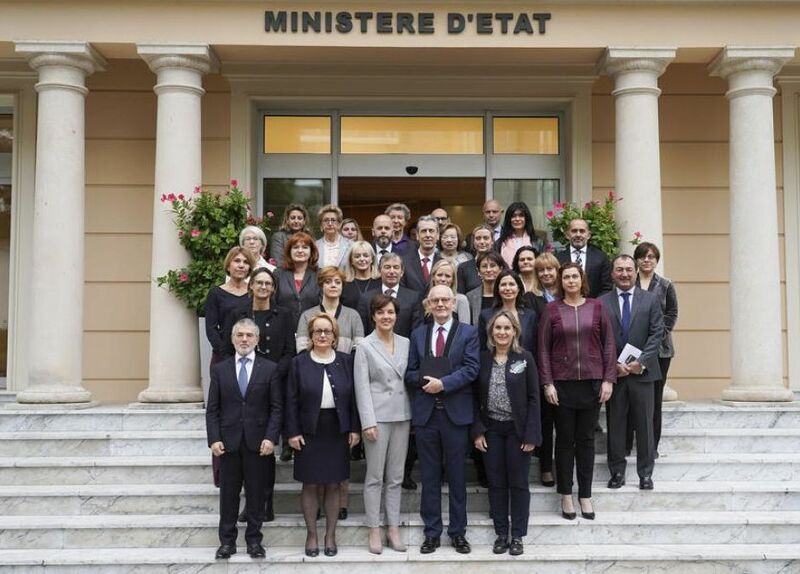 Following her appointment as Monaco's first High Commissioner on 19 March, Anne Eastwood was invited to attend a meeting with His Excellency the Minister of State. The meeting was intended to signal the government's desire to work closely with the High Commissioner and support her in her role. 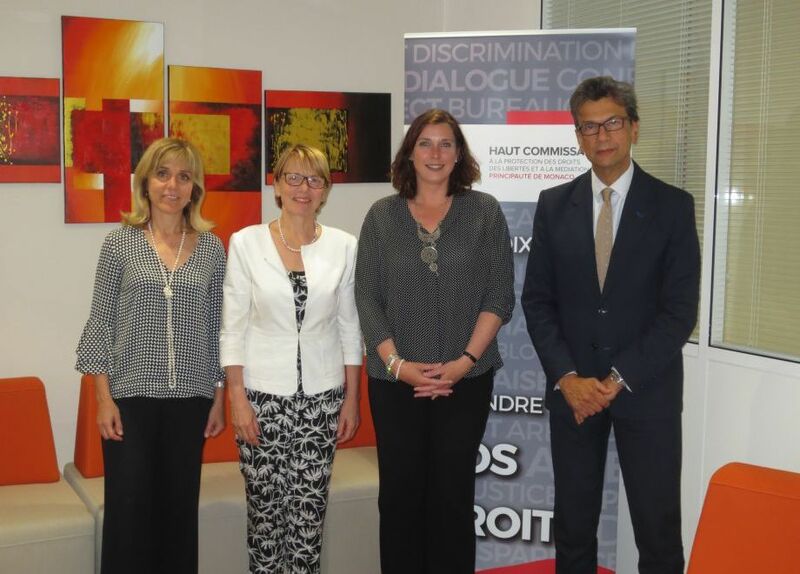 Anne Eastwood appointed as Monaco's first "Ombudsman"
H.S.H. 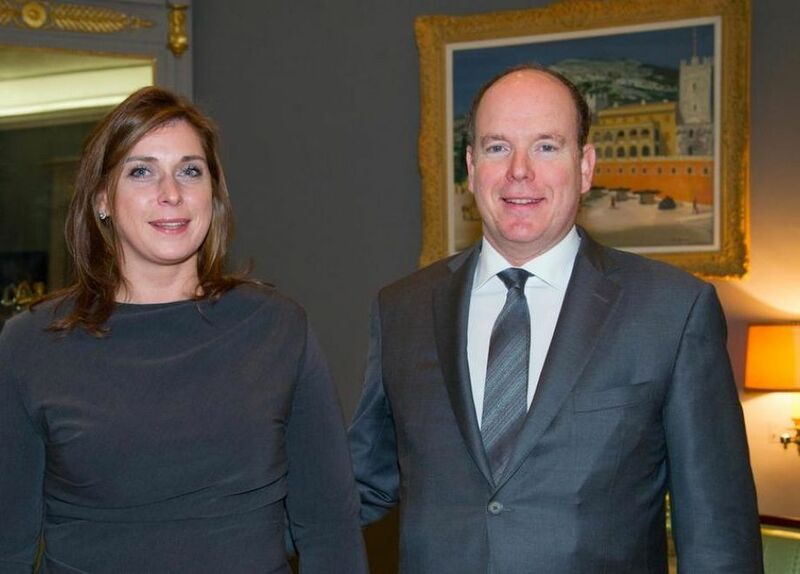 Prince Albert II recently appointed Anne Eastwood, 38, as Monaco's High Commissioner for the Protection of Rights, Liberties and for Mediation for a term of four years.